Ever thought about your relationships? Not just to people, but to your physical world? You have a relationship with your dog or cat, your job or career. Your relationships extend to everything that populates your life. Money. A Starbucks latte. The good luck charm you keep hidden but still think about. You…are in a relationship…with EVERYTHING. Want to know a secret? If there is something or someone in your life who seems to cause angst, anger or agitation, don’t expect them to change. You will wait until there is no more of anything before the other person changes to your satisfaction. The simple fact is that only you can change your relationships. Take a step back and look at the relationships that are not in the best of shape. Have you learned the lesson that is hidden in the relationship? 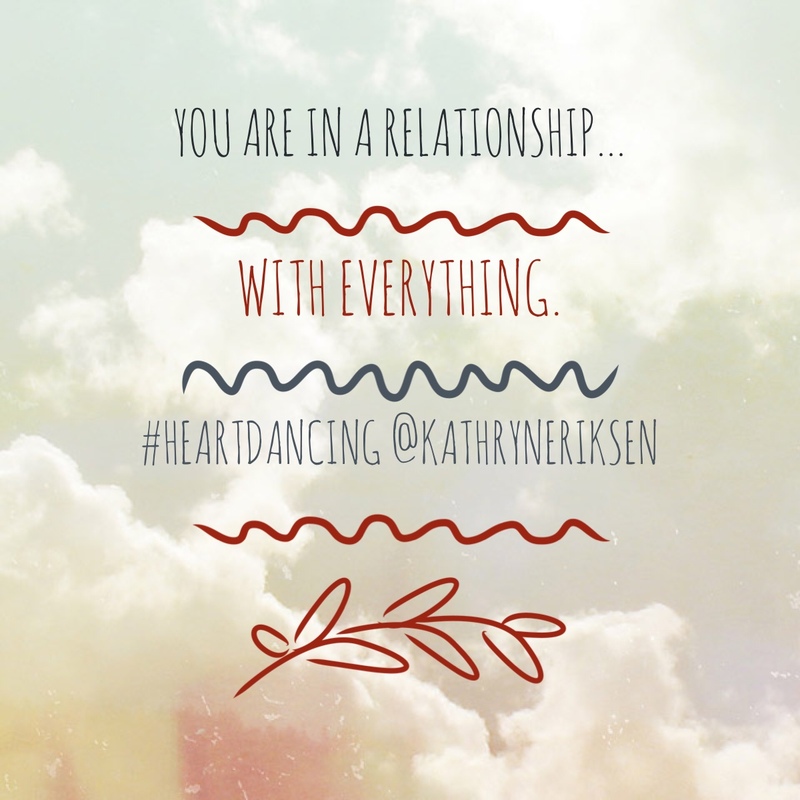 Are you ready to shift the connecting point and create a different relationship? Even thinking about your relationships from an observer’s viewpoint and asking these questions will cause a change. But you are the one to move it in a different direction. Then dance the steps that you know are true. From your heart. It really does work – think of who-you-want-to-be in that relationship. Begin to see yourself differently and your relationships will change. Thank you for commenting! I’m reading a book: “Women Who Run with the Wolves” by Clarissa Pinkola Estes, Ph.D. It speaks to your theme here. One statement, in particular, shimmers: “The desire for love to live on in its most positive form ‘only’ is what causes love ultimately to fall over dead – and for good.” Many of us – especially when we’re young – have an expectation of what love should look like. The fact is, there is a living – and dying – and living again in every relationship as it grows – transforms into what real love is all about. You always have a way to highlight the essence of the message. Well said!